If you own a blackberry phone and you desire to browse free with your personal computer using your blackberry as a modem it’s simple, easy and economical. Follow the steps. 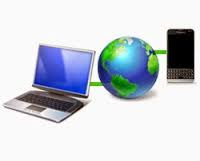 You can save the money for buying a new modem/paying for internet and make use of your blackberry phone as your modem. This article also contains the configuration settings of MTN BIS in Nigeria for your blackberry phone. Note: Please do yourself a favour by adhering strictly to these steps on how to browse with your PC using your Blackberry as a Modem or you might end up loosing bunch of hairs trying to achieve a successful connection. Below are the steps you will follow to achieving this. STEP 1: Download and Install Blackberry Desktop Manager on your PC or check your Phone Pack for the CD that comes with it. Note: You can also download the latest version of BlackBerry Desktop Software 7.1 for PC here, to coordinates the link between your smartphone, tablet, email accounts, calendars and more. It is available for both Mac and Pc Users. Use this as your Settings depending on the Network you choose. See Also : How to Connect Any Android Phone to Pc As Modem On Your Computer To Browse. STEP 3: After completing all the steps above, press the OK Button to exit the small popup screen then OK Again to exit the Mobile Internet Settings configuration dialog. When you have Connected to the Internet and you are Ready to Browse, at the bottom left of the BlackBerry Desktop Manager, you should see something like this (Time Connected and Data Used). What it means, is that you are now connected to the internet and ready to go. Or Go back to the Menu. After menu>> click on Tools and >>click on Start Mobile Internet. Click on Connect, you have successfully Connected yourself to the Internet. Note: After following all these steps, don’t close the blackberry Desktop Software until you are finally through with your browsing. See Also : How To Turn Your Windows Pc/Laptop Into A Wi-Fi Hotspot and connect other phones to your PC/Laptop to browse.